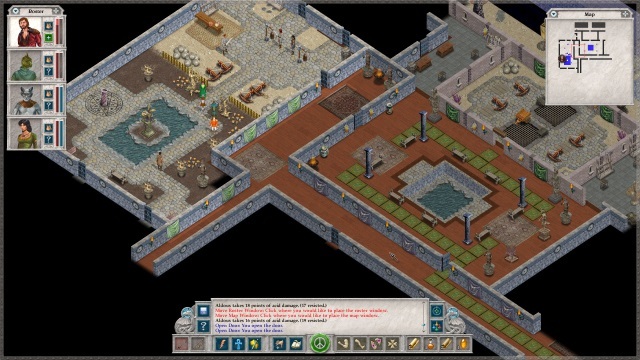 Spiderweb Software alternates between releasing games in the Avernum franchise and a different game. First it was Geneforge games, and more recently Avadon, his first iPad release. In 2011 he brought the original Avernum to the iPad, and modernized and revamped it along the way so it was worth replaying for everyone. This fall we get Avernum 2: Crystal Souls! I have written before how I only came to the Avernum franchise with Avernum 4 in 2006, and have absolutely loved every entry since. With each entry Jeff Vogel improves the tools and graphics, while still delivering a great expansive story with loads of options and a massive world to explore – something I noted in detail in my review of the ‘Avernum Great Trials Trilogy’ (4-5-6). But I never really got back to the earlier games – at least I never finished them. But now with the updated and enhanced re-release of Avernum 2: Crystal Souls I will be diving back into the world of avernum. It will be released first for the Mac and PC, with the iPad version soon to follow. Spiderweb Software, Inc. announced today their return to their epic Avernum saga, to continue the story of the underworld Avernites and the war against their oppressors. Avernum 2: Crystal Souls is the second chapter in this indie fantasy role-playing saga, a tale of desperate exiles and their battle for survival and a land to call their own. Now the Empire will have revenge. They have invaded Avernum, seizing cave after cave and destroying your people. Your land needs a hero, and it needs it now. If you can’t find a way to stop them, and soon, you are all doomed. Head to the official site for more information and additional screenshots.